I’m up early this morning (got up at 5 a.m.) because I woke up at 5 a.m. and thought to myself, later this week, this will be 8 a.m. and I will have to not only be up, but dressed, looking decent and arriving somewhere other than where I slept. Sigh…I really think that events that involve both East and West Coast participants should start later – after all, most people don’t go to sleep at 8 p.m. but NO ONE gets up at 4 a.m. on a regular basis. Okay, maybe not. I’ve read about some of you out there who get up everyday at 4 a.m. But, we can all admit that isn’t typical. And its hard to go to bed early when you’re on the East Coast because 11 p.m. is only 8 p.m. your time. And then, just about the time my body starts to adjust, I’m on my way home to the old time zone. On an up note, I am feeling slightly better this morning. Not nearly as stuffy and my throat isn’t scratching. So, I either beat it back or it was just bad allergies. Who knows? I guess next time, I should just try taking some allergy meds and see if it solves the problem. For now, I’m just happy to not feel like total @$$ before leaving on a plane tomorrow. Another truth for today: my house is never clean. I can clean and clean and clean and clean, do laundry on a daily basis, clean some more and the house will look clean for a moment in time and then BAM! everything is strewn all over again and we’re back to looking like we live in a dumpy toy store where some second hand clothing store dumped what they didn’t want in their store. Sigh…I really do try to make everyone pick up their stuff, but inevitably it gets picked up and then put somewhere else that it doesn’t belong where it starts to pile up and people think that the pile is where stuff goes and it grows and grows until there is no space in that pile, so another pile has to be started. Really. That is they way my house works. I admit that I sometimes contribute to the piles myself. But, I feel like we need to get rid of all flat surfaces in order to keep the piles from building. But, how do you get rid of floors? 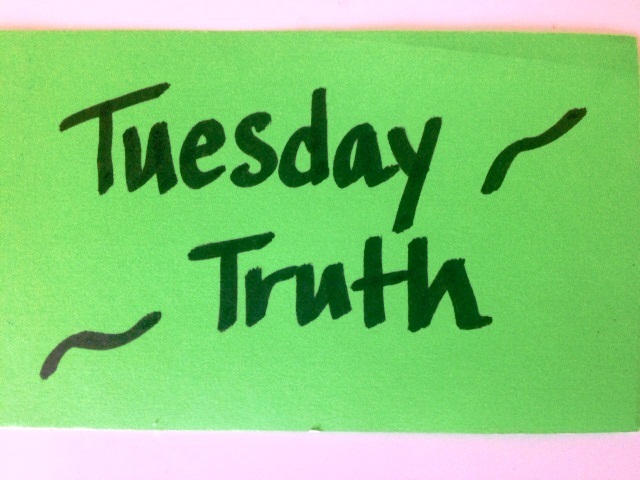 To end on a positive note this week – my third and last Tuesday Truth is that thankfully, I am shown grace on a daily basis. Both by people and God. 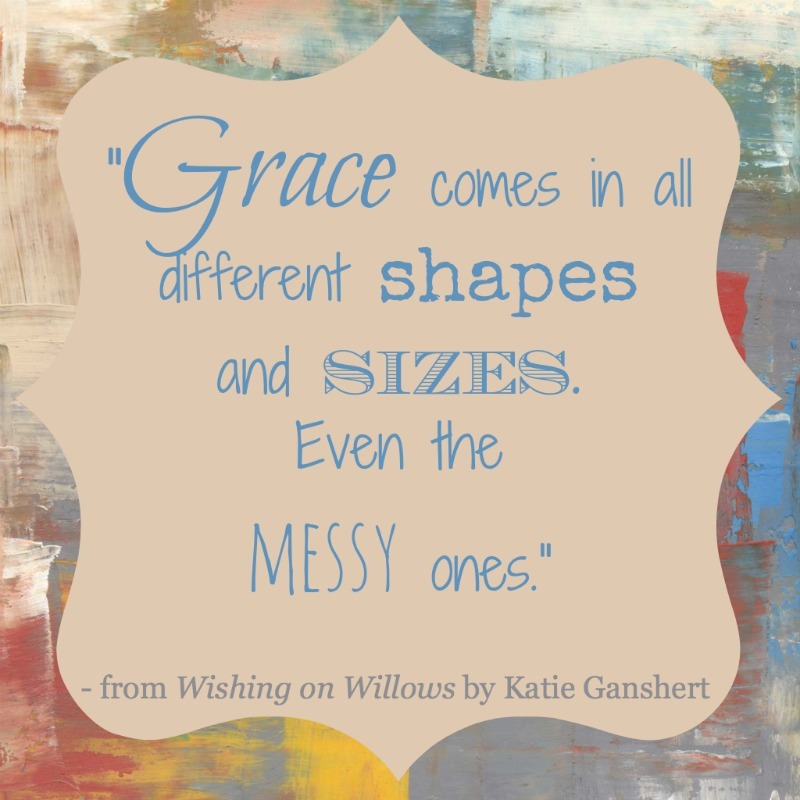 Because, sometimes that grace is truly needed. This week, I want to make sure that I show others that same grace and that I am able to appreciate the grace I have been, am being and will be given.